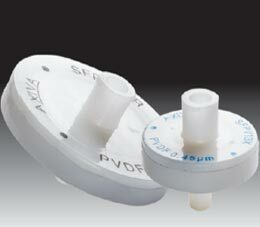 • Suitable for filtration of Protein solutions. • For mobile phase filtration. 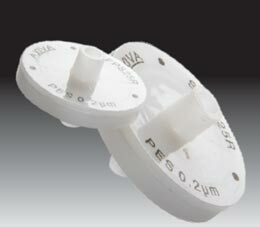 • For Analytical and Research applications. 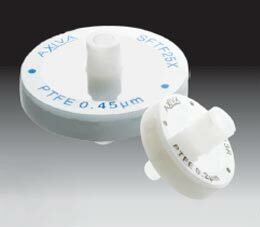 • Filtration of difficult filter solutions. 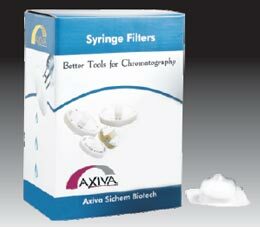 • Best media for mobile phase filtration. 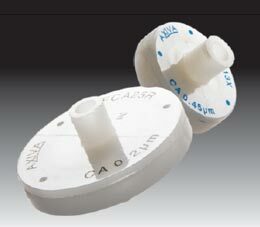 • For Analytical and Research applications & for Air sampling. • Used under extreme chemical or temp . Conditions. • Ideal for filtration of highly aggressive colloidal solutions. 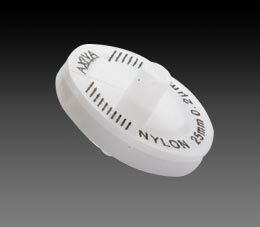 contains a glass fiber filter with high retention efficiency of 99% for 1.6 µm/1.0 µm spherical particles. 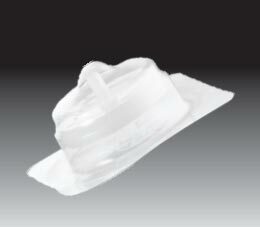 It is very useful when relatively dirty solutions are to be clarified, or for prefiltration. Media - Polytetrafluoroethylene (Hydrophilic), wide chemical compatible. 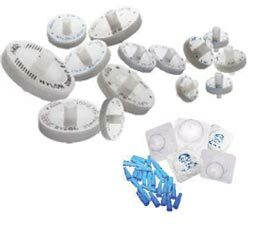 Hydrophilic PTFE Syringe Filter are made from special hydrophilic PTFE membrane as the west extractable, excellent solvent and pH resistance and optically clear when wet with water. 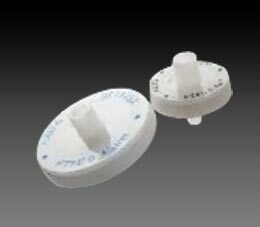 Hydrophilic PTFE Syringe Filter is versatile or aqueous and aggressive organic solvent based solutions. 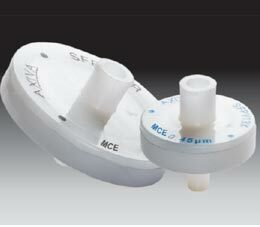 AXIVA MCE Syringe Filter are specially designed for microbiological analysis. 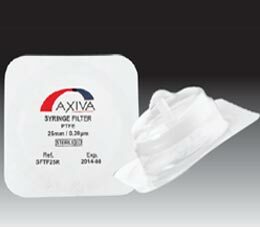 • AXIVA Syringe filters with prefilter (glass fibre filter) enhance the throughput rate by retention of particle > 2.0 micron size at prefiltration stage. • They are widely applicable for filtration of colloidal solutions.